SO, BELIEVING that they were doing the right thing, did our leaders place themselves and the rest of us in a sticky situation when they agreed to ratify the Rome Statute and make South Africa a member of the International Criminal Court (ICC)? There are now many views on whether well-intentioned South Africa was naïve in doing this, or whether in hindsight it was done without knowing that countries like the US, the UK, Israel and others on the African continent had no intention to commit to the same statute. The latter countries avoided ratifying the statute, ostensibly to ensure that none of their citizens would be subjected to criminal prosecution by this court. Now that we’ve already said yes and went on to draft a special law (Cooperation with and assistance to court in or outside South Africa) to ensure alignment of ICC obligations with provisions of our own law, we find ourselves on the back foot, standing with our back to the wall and with very little room to manoeuver. 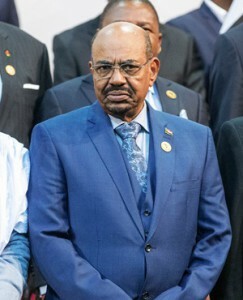 Sudan’s President Omar al-Bashir jetted into South Africa on Saturday after, apparently, receiving assurance from the South African authorities that nothing would happen to him. While he was still here Africa was talking and the rest of the world was watching, waiting to see in which direction South Africa would jump. Do nothing: look the other way, create a diversion through court processes and allow Al-Bashir to make a clean escape with no direct assistance from South Africa. The government could then pretend not to have known when and how he managed to get out of the country, claiming total ignorance. But this would cast negative suspicions on the ability of South Africa’s security agencies. Given all the brand embarrassing events of the recent past and the subsequent loss of credit in the eyes of people who have believed in us, this could also have been seen as an opportunity to demonstrate that South Africa is still a country that is concerned by human rights abuses, especially in Africa. Handing Al-Bashir to the ICC could also have been a way for Brand South Africa to redeem lost moral high ground. We could have used this opportunity to say “thus far but no further”, demonstrating that we subscribe to the rule of law and that we take our international obligations seriously. South Africa needs to regain much of the goodwill that it has lost; this is an opportunity to regain some of those points. We didn’t tell Al-Bashir to commit African human rights violations in order to stay in power. That is his problem! Mugabe would have been disappointed, of course, and so would Thabo Mbeki and those in South Africa and elsewhere who think the country should instead brandish its middle finger in the face of the ICC and the nebulous West, and continue the silly culture of defending indefensible African despots. The seemingly forgotten truth in this drama is that Al-Bashir faces very serious accusations of human rights violations. 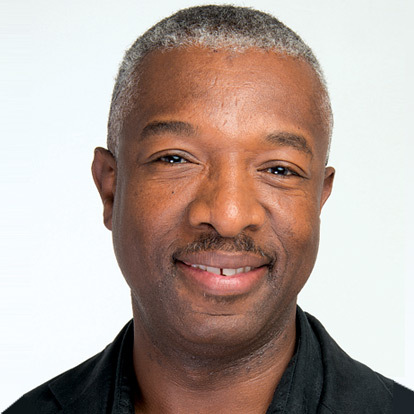 Most people now involved in this discussion seem to have forgotten that this man led a government that killed and/or enabled the killing and internal displacement of hundreds of thousands of dark-skinned Sudanese people in the mid-2000s. Had he been white, Africans would have made a lot more noise against his actions, possibly crying racism and demanding that the man be ousted and criminally tried. But then, the killings happened when Mbeki was president of South Africa, driving an African agenda that was blindly loyal to African despots, irrespective of their stripes – Robert Mugabe, Omar Al-Bashir and several others. In Mbeki’s eyes, Africans could do no wrong. If they did, it could be blamed on the nebulous West. Did we have to suffer more loss of credibility vis-à-vis the rest of the world because of Al-Bashir? Why couldn’t we have seen this as an opportunity to launch “African Agenda 2063” in which the rule of law and human rights reigns supreme?